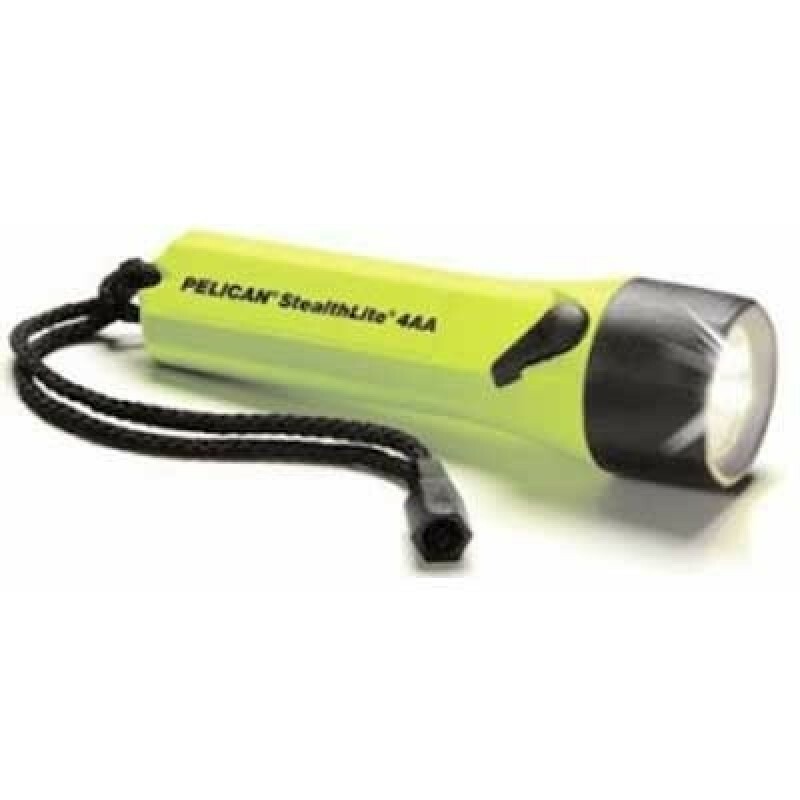 The StealthLite 2400 from Pelican Lights is popular with firefighters and adventure seekers. The unique easy slide thumb switch on the Pelican Lights 2400 is easy to operate, even with gloves. The tough resin body is corrosion proof and resistant to extreme temperatures. 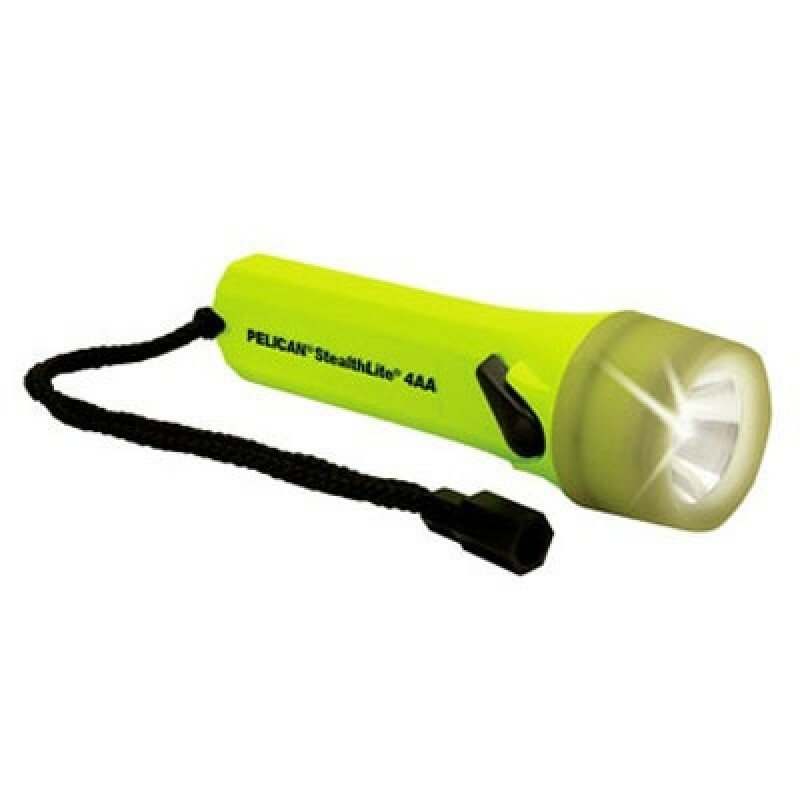 The Xenon lamp is powered by 4 AA alkaline cells (included) for a bright beam that penetrates thick smoke, fog, and dust. Attach the Pelican StealthLite to one of our optional helmet light holder clips and you have a hands-free light for work or play. Submersible to 500 feet.